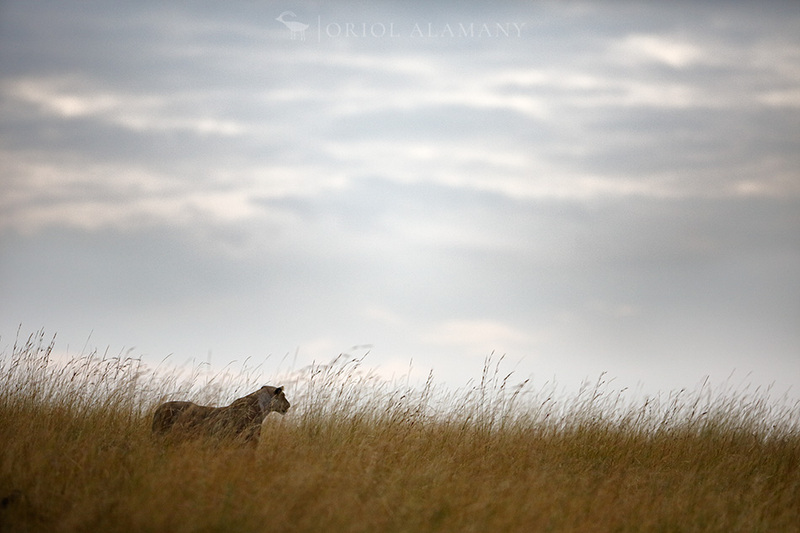 Lioness (Panthera leo) looking for prey in the grass of a savannah in a cloudy morning, Maasai Mara National Reserve, Kenya. For some years I have been working on a personal photographic project called “Wild Clouds”, about the aesthetic relationship of the wildlife with the clouds in the landscape. Yesterday it was the opening of the first public exhibition of this work in L’Esguard Photography Festival in Sabadell (Spain). Location: Maasai Mara National Reserve, Kenya.